They Thought Their Dogs Had Been Stolen…Until They Decided To Cook BACON! 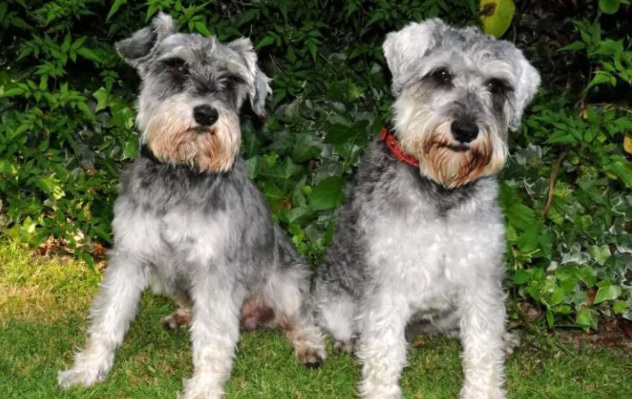 These adorable miniature schnauzers, called Theo and Charlie, unexpectedly disappeared, leaving their owners heartbroken. The dogs took off running after something on a family outing and didn’t return when they were called. For days, the family did everything that they could think of to find their missing dogs, fearing that they had been picked up by someone else. A search party was organized and over 120 people turned up to search for the missing dogs, including two drones! For five days, the family searched for their furry pups…and as a last resort, decided to do something a little crazy. Mom brought a grill to the place the dogs had last been seen and began to cook their favorite snack: bacon. The breakfast meats had a strong scent, and it began to waft around the area, hopefully to entice the dogs to return on their own. When they first appeared it was like a mirage. I could not believe it was them. My husband ran up the hill to grab them as I was just shaking and crying. I could not function.” Mom said. The dogs were used to having a special snack every Sunday morning, and while no one is sure where the dogs were hiding or how they survived for over a week on their own, the family is just glad to have their furry friends back at home! Safe and sound, the dogs are happy to be home!